Open Throw Away Clone. Now you can open a clone of the current XYplorer instance in read-only mode. You can use such a clone for quick in-between jobs that should not affect your main configuration. Highly useful. 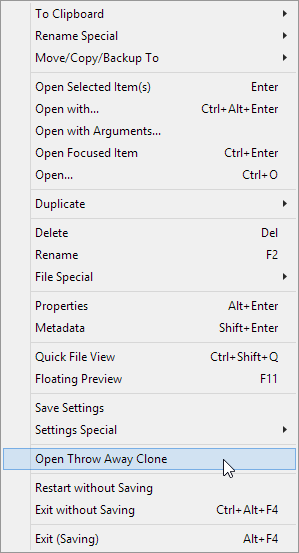 The command "Open Throw Away Clone" in the File menu. [READONLY] in the title bar. Selection Colors. Now you can customize the text and background colors of selected items. Offers you a break from the age-old white-on-blue without messing with the Windows system-wide color settings. The configuration is easy. It’s on Configuration | Colors and Styles | More Colors. 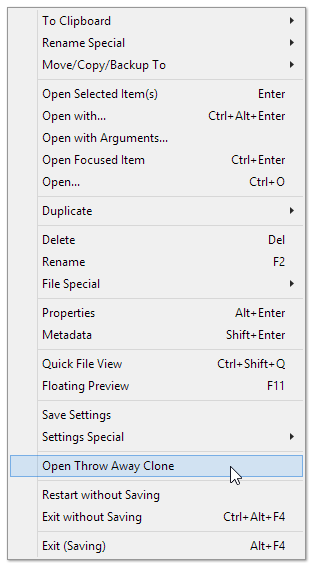 To open the configuration dialog press F9. Customizing the selection colors. Remember to tick Use to actually activate the colors. 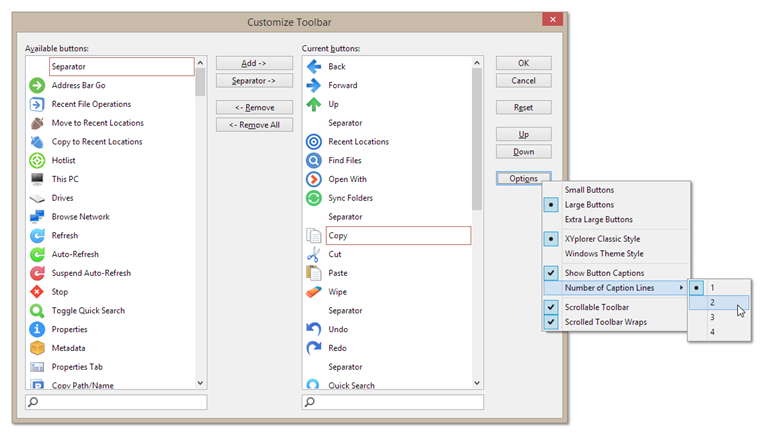 Note that these settings are just for XYplorer. The system settings are not touched by this. Vertical Grid. Now you can have vertical grid lines in the details view. The vertical grid can help to keep your eyes in sync with long columns. 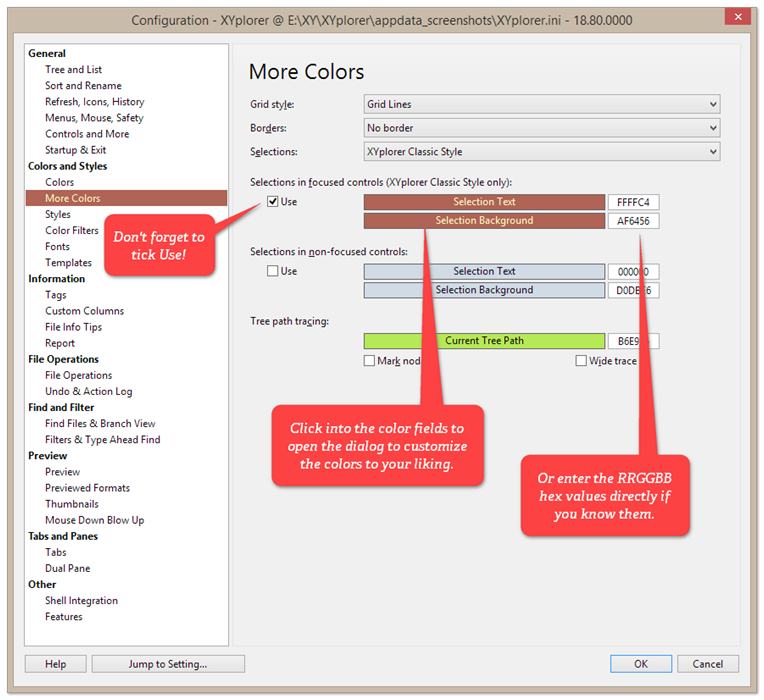 To turn it on tick Configuration | Colors and Styles | Styles | Vertical grid lines in details view. Check out the difference. The lines are subtle but guide your eyes nonetheless. Of course, the color of the grid is configurable: Configuration | Colors and Styles | Colors | List | Grid. Live Filter Highlights. Now the matching parts can be highlighted. Highlighting what you were looking for can be a good idea. To turn it on tick Configuration | Find and Filter | Filters & Type Ahead Find | Live Filter Box | Highlight matches. 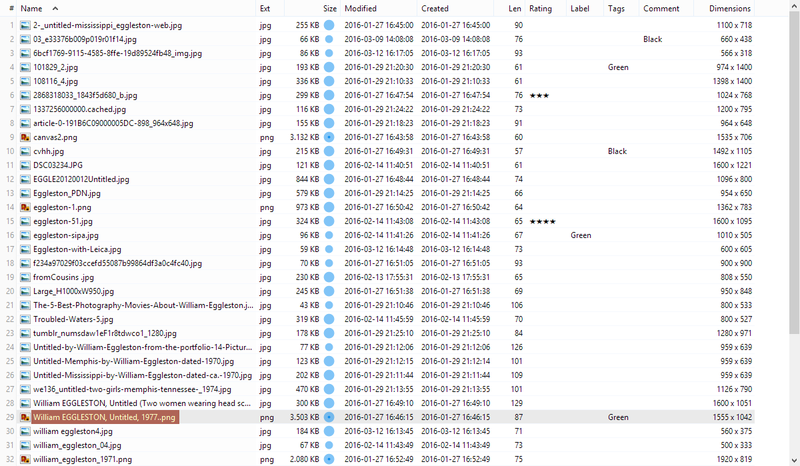 Filename Length Info. 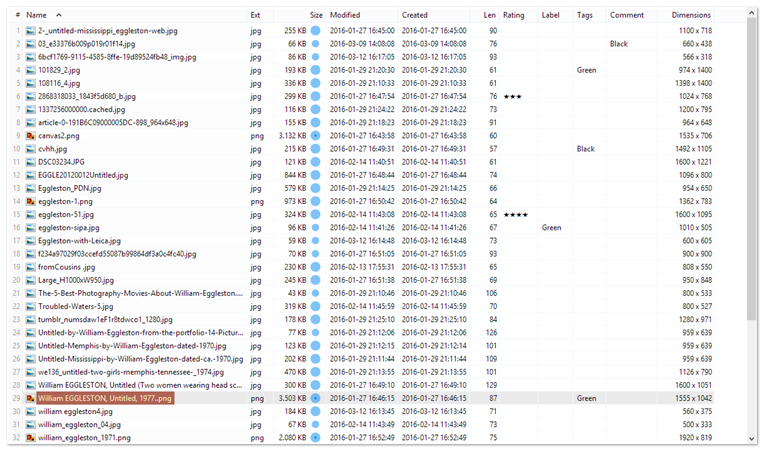 Now a yellow warning icon is shown in the box when the new filename would trigger a move-on-rename. Note that move-on-rename (and this warning) will only happen if it is enabled here: Configuration | General | Sort and Rename | Rename | Allow move on rename. Toolbar Captions. Now you can customize the number of caption lines. The more lines you use the less horizontal space is taken by each button. 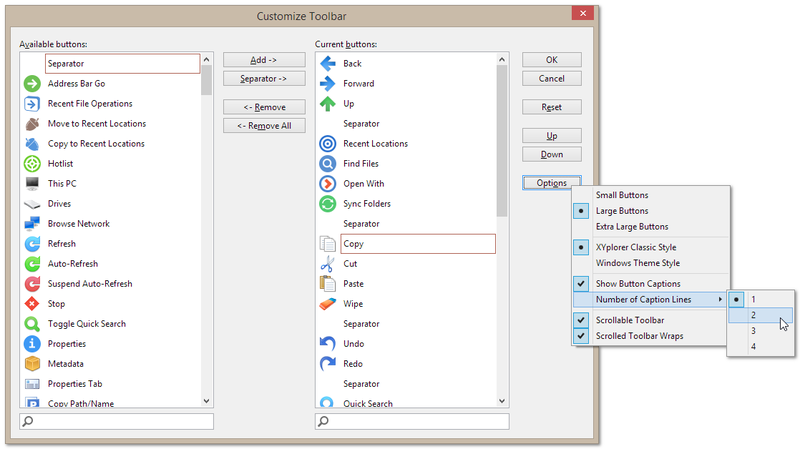 Here is where you specify the number of toolbar button caption lines. Scripting. Added Compound Assignment Operators .=, +=, -=, *=, /=, \=. Scripting opens a realm of power, but it’s certainly for advanced users. For more info check out the Help file.